This is a collection of stories we’ve featured on the front page of the website. We didn’t want to forget them, so they’re here as kind of a journal. See our preparedness information here. Watch the eclipse live here (NASA). Utah Gov. 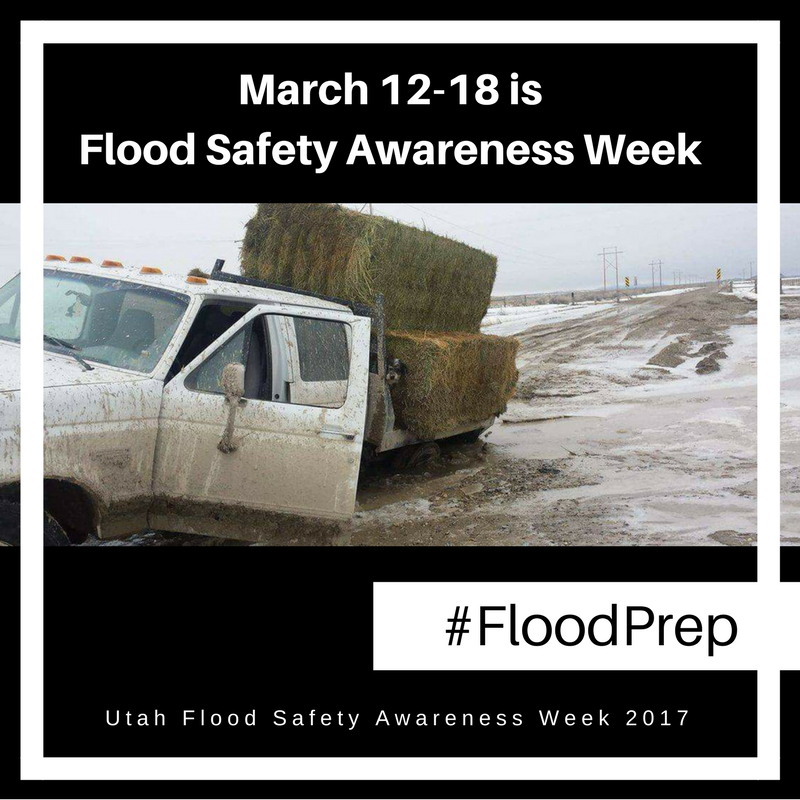 Gary Herbert proclaimed a Flood Safety Awareness Week for March 12-18, 2017. 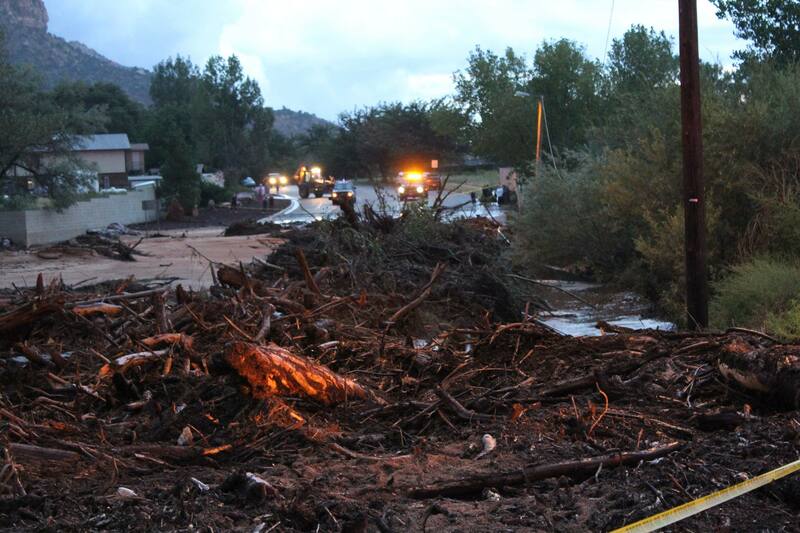 Click above to download our images for social media and to learn more about floods in Utah. Never go into flood waters. Turn around, don’t drown. Snowmelt causes rivers to run higher, faster and colder. Hypothermia can set in within minutes. So keep children, pets and the elderly away from rivers. Just a foot of water can float a car. Flood damage is not covered by a homeowners insurance policy. Flood insurance policies need to be in place 30 days before a claim is made. Fifth Annual Great Utah ShakeOut reaches 1 million! A record-breaking 1,004,593 Utahns participated this year! Gov. 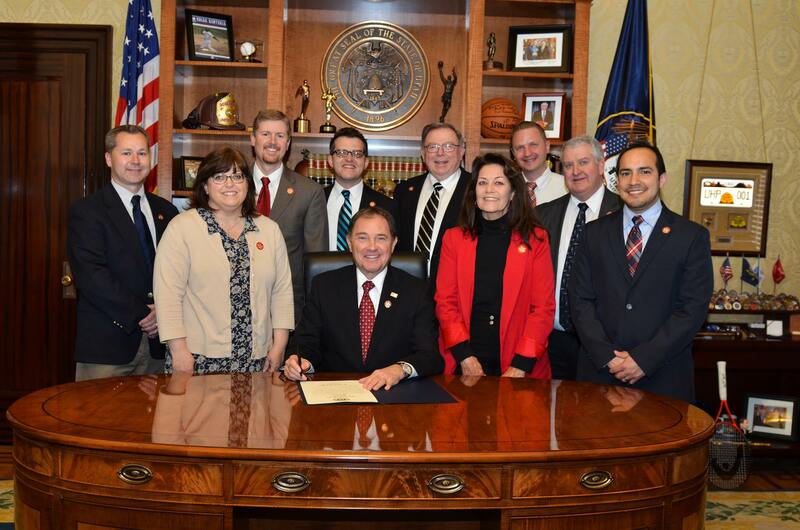 Gary Herbert challenged Utah to get 1 million Utahns participating for 2016. We succeeded! You succeeded! If you held a drill or plan to during 2016, you can still sign up your family, church group, business, school or workplace at ShakeOut.org/utah. In the mean time, you can upload photos, stories or videos to the ShakeOut website by logging into your profile. Since 2012, millions of Utahns have participated in the Great Utah ShakeOut. You can also download your own banners to display on your website, blog or Facebook page from the Resources section of the site. Want to know who’s participated? Here’s the list. Mark your calendars for April 20, 2017, for the sixth ShakeOut! For 10 years, Be Ready Utah has reached millions of people with simple preparedness messages to get them ready for disaster. The reason is simple: Preparedness saves lives, time, effort and money when disaster strikes. Come celebrate 10 years with us by sharing those messages with those important to you. Utah Gov. Gary Herbert, who created the program when he was Lt. Gov, has declared April 4-8, 2016, as Be Ready Utah Week. 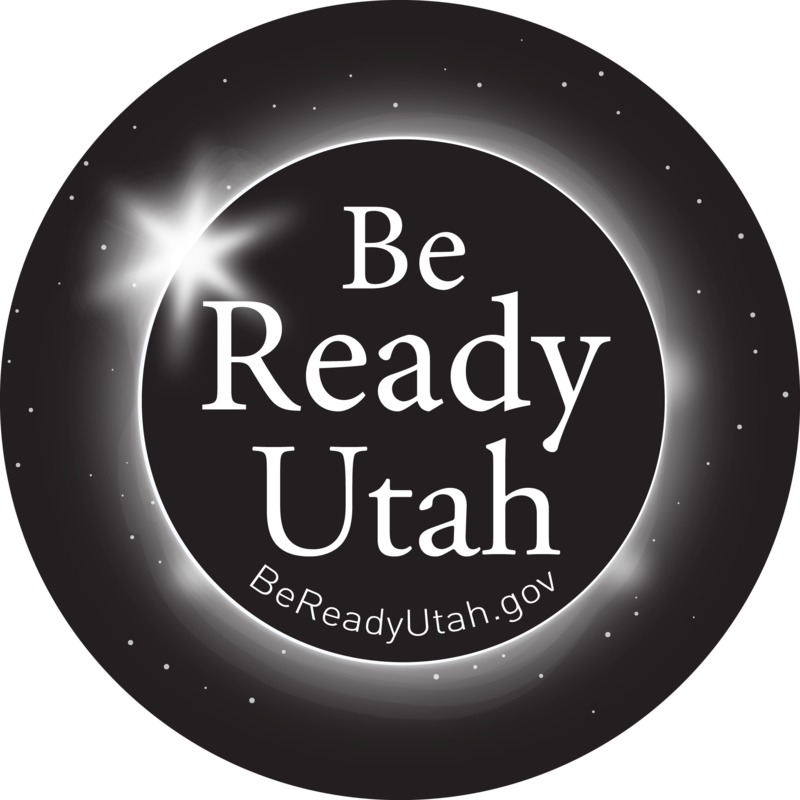 Through Be Ready Utah, we tell Utahns how they can be even more prepared for all kinds of disasters: floods, fires, severe storms and power outages. 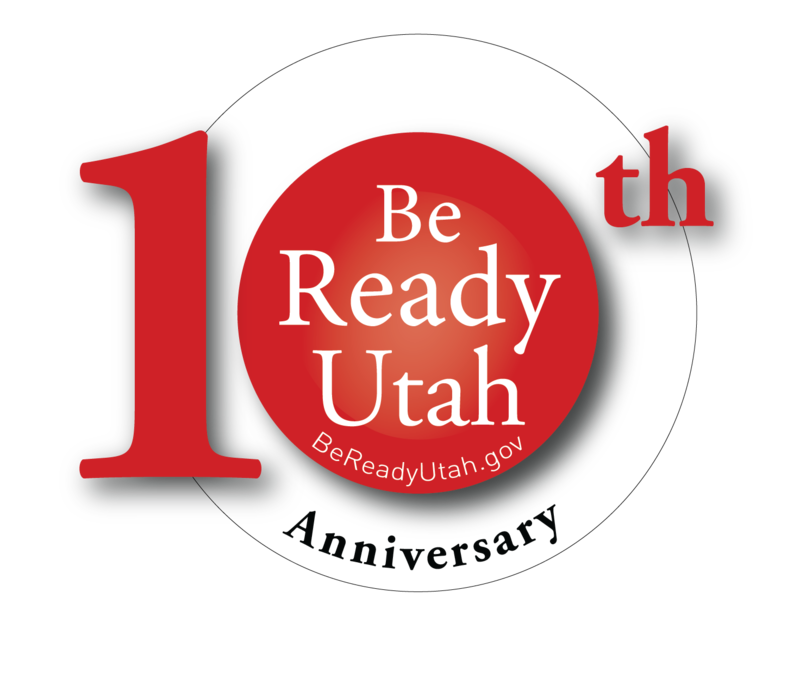 Be Ready Utah’s social media accounts (BeReadyUtah on Twitter, Facebook, Instagram, LinkedIn and Snapchat) will be sharing preparedness advice using the hashtag #BeReady10th where applicable. Signing the Be Ready Week 2016 declaration, from L – R: Director Kris Hamlet, Deputy Director Judy Watanabe, Be Ready Utah manager Wade Mathews, Be Ready Business coordinator Logan Sisam, Gov. Gary Herbert, Be Ready staff members Ken Kraudy, Maralin Hoff, James Ray, Jeff Johnson and Preparedness Bureau Chief Jona Whitesides. I’m pleased to announce that the 2015 DEM Annual Report is now available on our website. I’m proud of the good work done by our staff members, who speak fondly of the opportunity they have to serve emergency managers and the public. 962,305 people shook it in the 2015 Great Utah ShakeOut. We are still number one in the nation in per capita participation! Are you in for this year’s drill on April 21? We passed $6.7 million in federal funds through to local emergency management programs. Keep up the good work in your communities. The Search and Rescue Financial Assistance Program reimbursed 23 counties $272,504 for search and rescue expenses. Our liaisons drove more than 99,000 miles to support our local communities. 90 State agency COOP plans were updated. We’re looking forward to great efforts in 2016. 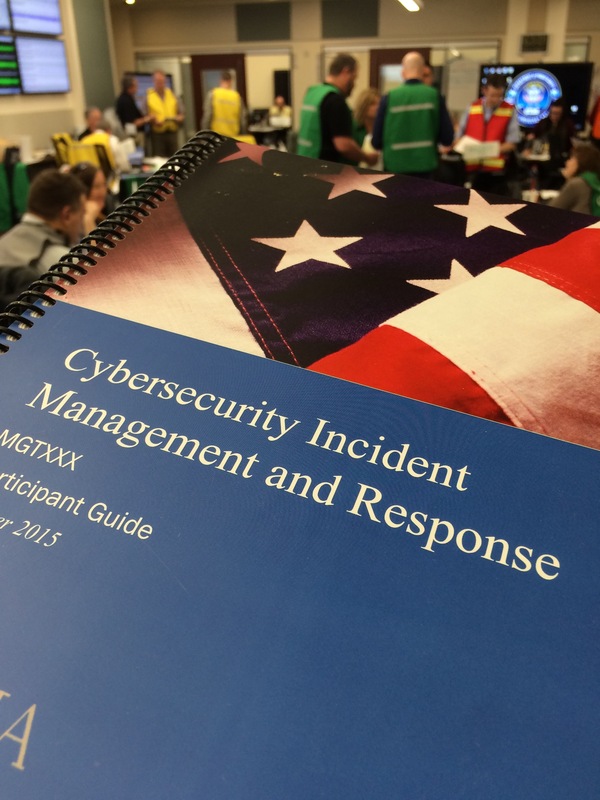 The Utah Division of Emergency Management hosted the first offering of the new Cybersecurity Incident Management and Response course, offered by TEEX. We consider it a huge honor to work through cybersecurity issues from an emergency management perspective and help make this course the best it can be once it is approved and rolls out to other emergency managers around the nation. Check out our blog for more information on this great course. 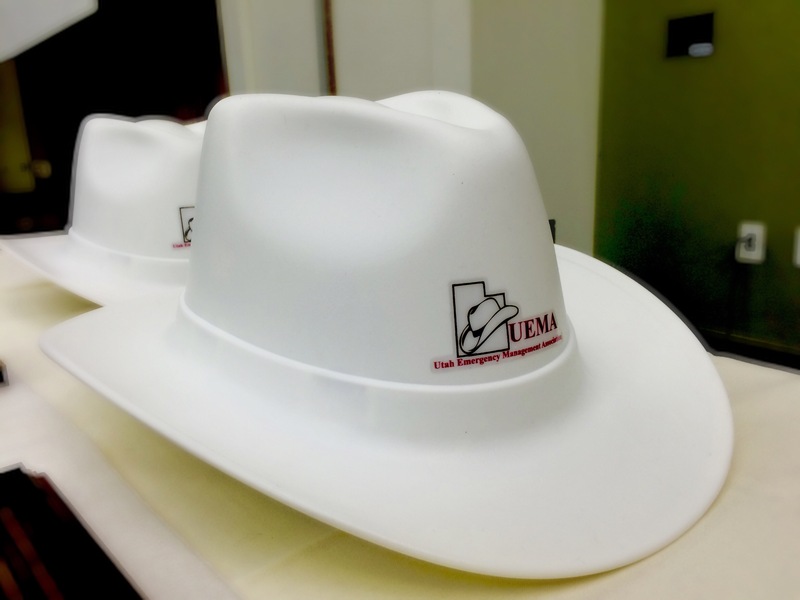 Utah Division of Emergency Management proudly supports the Utah Emergency Management Association. This week, many of our staff members attended the annual UEMA Conference in West Jordan. This is one of our favorite events for training and networking among Utah’s emergency management community. We learned about emergency management basics, earthquake effects, planning for working with school districts and preparing for train incidents. Quite a few people also received awards. See our blog later for updates on awards presented. Story of the week: Snow? What snow? 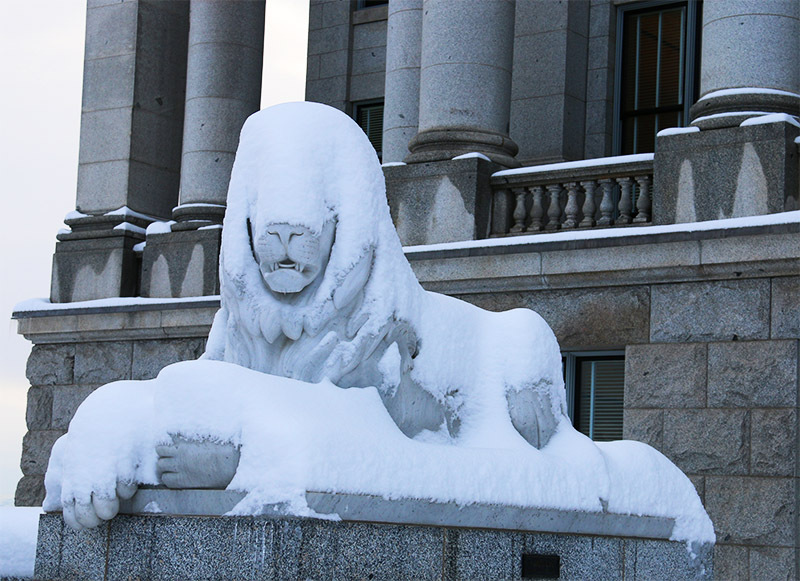 Utah is known for its snow, but it’s been some time since we’ve had an honest-to-goodness snowstorm. Traffic was awful on Monday, Dec. 14. But now that roads are clear, we can enjoy the snow’s beauty and the good it is doing for ski resorts and reservoirs. The Utah Highway Patrol reported responding to 245 crashes in Salt Lake County, 107 in Utah County and 54 in Davis County between Dec. 14-15 . Just a reminder that winter weather brings challenges. See below to stay prepared for winter. Crude oil spill on Highway 189 in Provo Canyon. Utah Highway Patrol photo. PROVO CANYON — No drinking water is affected following a crude oil spill into Provo River on Saturday. 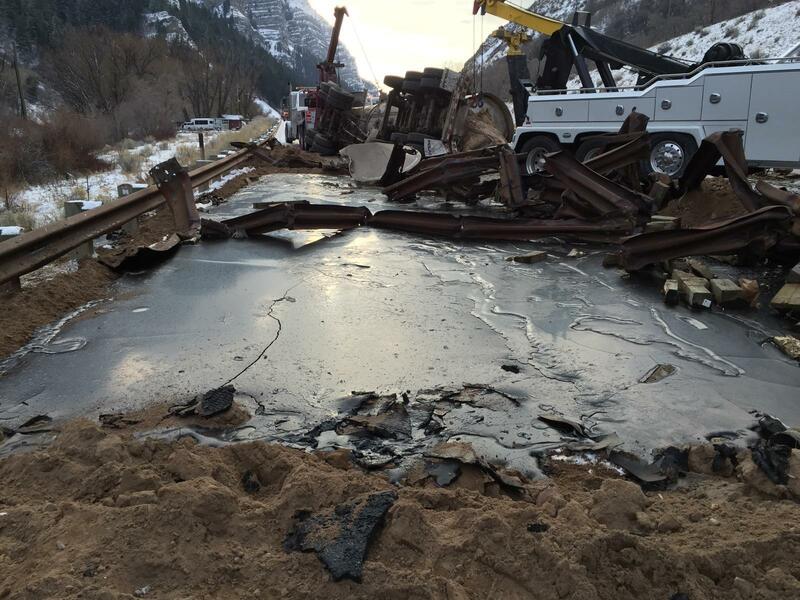 Today, at about 10:00 a.m., a semi truck hauling two tankers filled with crude oil crashed in Provo Canyon. The semi was driving west near mile post 13. Currently Highway 189 in Provo Canyon is closed at both ends. The Utah Highway Patrol reports that the driver attempted to make a lane change when he hit a patch of slush. He lost control of the semi, which then veered left and crashed into the median barrier. 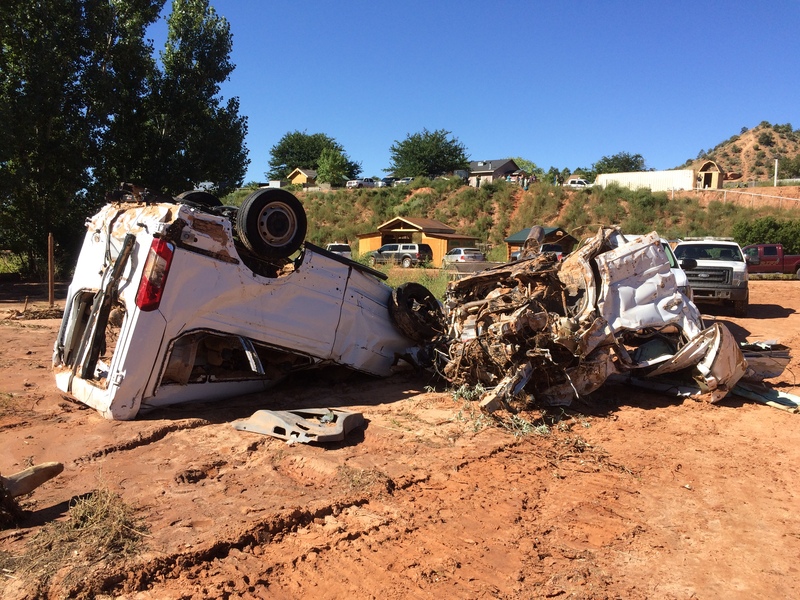 Both the truck and trailers rolled over. The truck came to rest across all eastbound and westbound lanes. The front tank, holding approximately 4,500 gallons of crude oil, ruptured and spilled most of its contents. Potentially, 1,000 gallons of crude oil spilled in the river, but Utah government agencies expect there will be no impacts to drinking water, as the intakes for the Don A Christiansen Regional Water Treatment plant in Orem were closed before the crude oil could reach it. That plant will draw from other water reservoirs while the intakes are closed. Jordan Valley Water Conservancy District also uses water from the Provo River, but water from the river is not being diverted to treatment plants. Jordan Valley is now drawing water from another source, so they don’t expect any impacts to customers. Meanwhile, Central Utah Water Conservancy District crews have deployed absorbent booms to contain the spill. Envirocare cleanup crews have responded, as well. The rear tank was not compromised and crews are working out a solution to extract the crude oil. Information about road closures is available at udottraffic.utah.gov or on the UDOT Traffic mobile app. 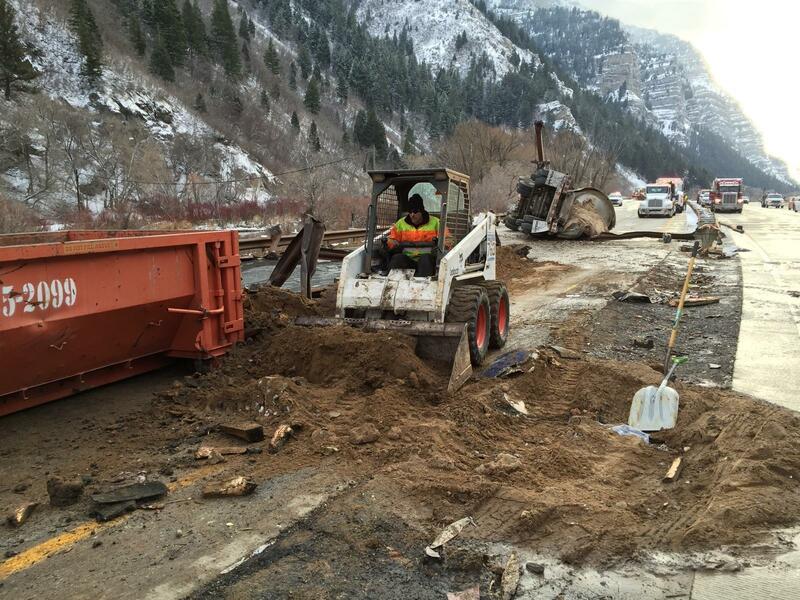 Currently, UDOT estimates the closures will last until 7 p.m.
Utah DEM supported incident response to the devastating Hildale Flood that occurred Sept. 14. 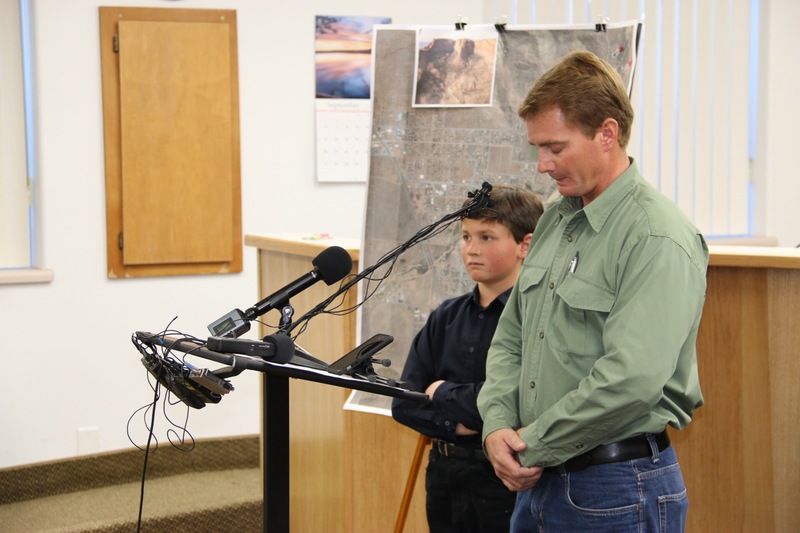 The rain event over southern Utah that day led to the deaths of seven canyoneers in Zion National Park, one motorist in the Arizona Strip and three women and nine children in Hildale. One boy is still unaccounted for and is presumed dead. Three boys survived the flash flood. DEM activated the State EOC to a Level 2 – Partial Activation and sent six employees to support local responders and the Salt Lake Metro Incident Management Team with planning, public information, resource requests and reviewing damaged infrastructure. Washington County released all official information about the incident here. We’ve posted videos of the wash and of the responders on YouTube. 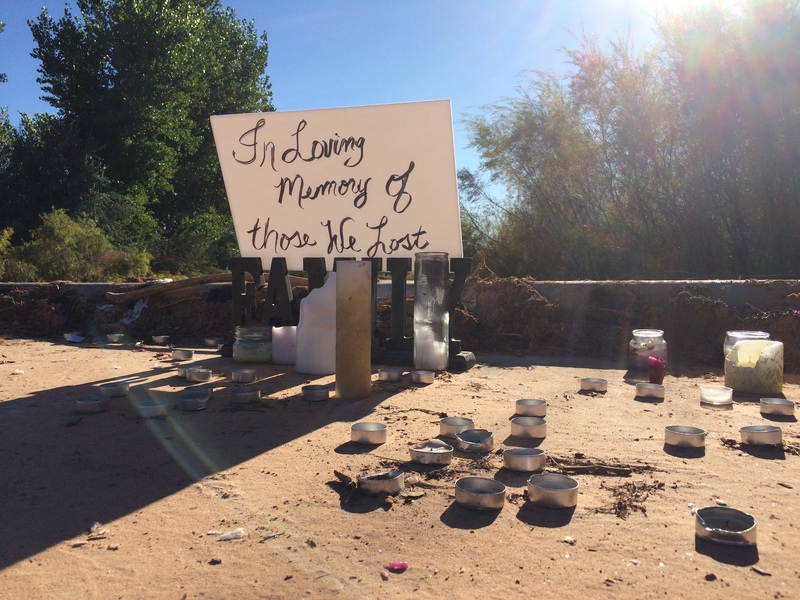 A memorial site along Short Creek. Utah DEM continues to support the Utah Department of Environmental Quality and other state agencies in messaging about the Gold King Mine spill contamination. The U.S. Environmental Protection Agency’s Region 8 information is here. SALT LAKE CITY – Utah State agencies are encouraged by improving water quality in the San Juan River based on the latest samples analyzed this week. 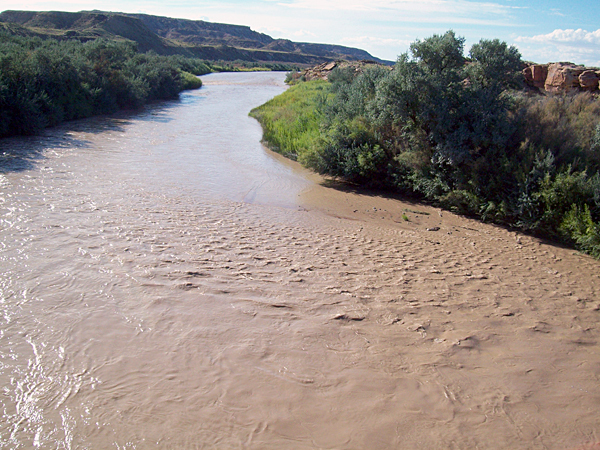 Utah Department of Environmental Quality (DEQ) scientists believe that the highest levels of contaminants associated with the initial spill event have passed through the San Juan River in Utah. Water test results suggest that the plume carrying lead, arsenic and other heavy metals from the spill present little health risk to users as it has been settled and diluted while making its way to Lake Powell. DEQ, in coordination with state and federal agencies, is now turning its attention on a long-term monitoring strategy that will focus on sediments and what, if any, remediation efforts may need to occur. Read the full release and previous releases below. Contamination flowing into Animas River (Colorado). Video from San Juan County, Colorado, emergency management.